Benefits include on and off leash training and physical and mental stimulation which helps with pent up anxiety. 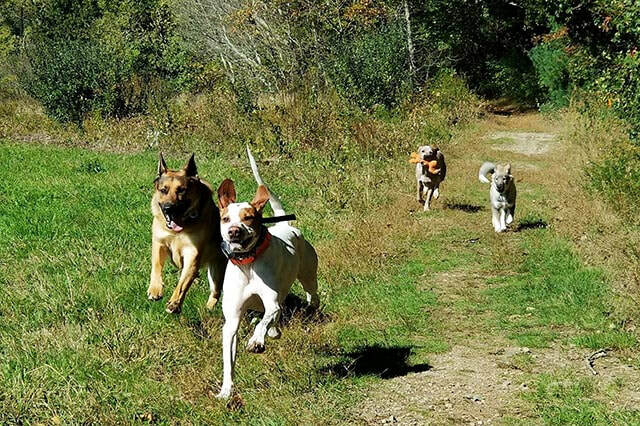 Pack leaders will will take small group of dogs to various dog-friendly nature trails in beautiful Rhode Island area. Beach walks are available as well. In home dog walking is $25 per visit and includes a 30 minute walk. Includes care of cats, plants, etc. In addition to regular day care activities, your dog will go out on a 1/2 hour leashed walk. Benefits include leash training, leash anxiety training and outside stimulation.